To Be Determined is a journal of cycling, adventure and photography, curated by a NYC-based cycling team known as TBD Racing or Team TBD. 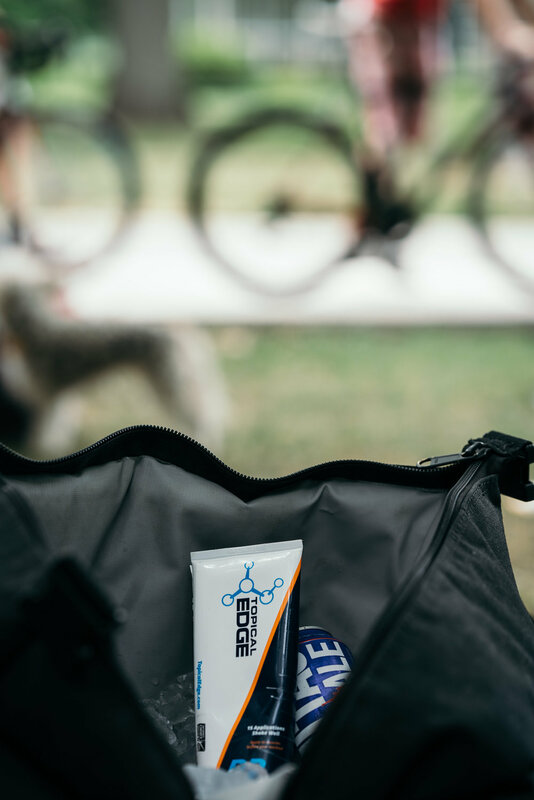 From criteriums to cyclocross to product reviews and travel diaries, it is all part of the TBD Journal. Isn't it nice when things just work? It's especially nice when something works that shouldn't. I'm generally suspicious of the efficacy of anything that hasn't been thoroughly tested by People Who Know What They're Doing. So when I received a bottle of Topical Edge in the mail, I flipped it over to check the active ingredients. I'd seen pro riders hawking it on Instagram, touting the recovery benefits of the lotion, and seeing menthol listed as the working part of the lotion made me wince. I figured it was about the same thing as Tiger Balm, but with a different bottle. Nope. It's completely different, it really works, and you should use it. I ordered three more tubes for Intelligentsia and the lotion quickly became part of the team's daily ritual. It worked, and we felt much better than expected. We were hooked. PR Lotion. It works. How does it work? Read all of this, but the short version is that it's not menthol, but baking soda, which reduces the amount of acid in your muscles. Wild.